The 50-mile stretch of the River Tamar forms a unique county boundary between the counties of Devon and Cornwall. The Tamar's source is East Youlstone near Bude less than 4 miles from the north Cornish coast. But instead of flowing northward into the Atlantic Ocean it flows slowly south. through reed-fringed mudscapes passing the towns of Launceston, Gunnislake, and Saltash before widening out and eventually meeting the English Channel at Plymouth Sound. In the sound the river merges with the rivers Tavy, Plym and Lynher to form the Tamar Valley, an area of outstanding natural beauty. The river has some 20 road crossings, including some medieval stone bridges, and the famous Tamar Bridge, opened in 1961 which carries the A38 and the Royal Albert Bridge built in 1859 by Brunel ,to carry the railway from Devon into Cornwall. The natural wonders of the environment contrast sharply with the manmade industrial relics which are strewn along the middle reaches of the river. The cries of the raven and the peregrine falcon echo around the site of abandoned mines in which men toiled for more than two centuries. The Tamar has always played an important role in the region's economy with mineral extraction a key industry in the Tamar valley. 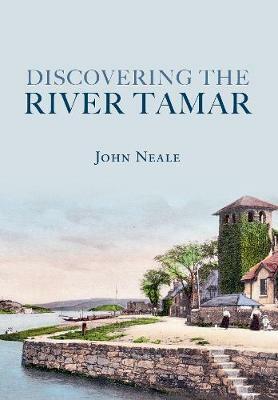 The Tamar has also served naval interests since 1691, when William of Orange commissioned a new dockyard at the mouth of the river in Devon.